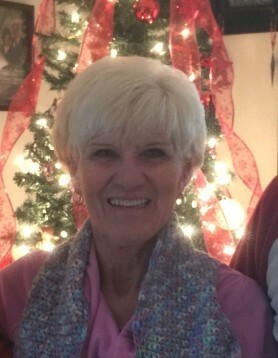 Dunsmore, Teresa E., 67 of South Charleston passed away March 26, 2019 in the Springfield Regional Medical Center. She was born in Springfield, Ohio on January 12, 1952, the daughter of William and Winifred Dunsmore. Teresa was a 1970 graduate of Southeastern High School. She was a beautician with Block’s for 20 years and retired from Target Distribution. Teresa loved flower gardening having won the Clark County Beatification Award twice, she also enjoyed doing crafts. Teresa attended the Spirit of Truth Church and AHOP Church. Her survivors include her daughter Amanda (Jack) Preston; sister Judi L. (Pat) Delaney; brothers Wayne (Brenda) Dunsmore and Robert (Debra) Dunsmore; grandsons Hunter Lane and Braidy Cane Preston; a host of nieces, nephews, great nieces and nephews; great-great nieces and nephews, including a special great-nephew Jace Thomas “Baby J” Delaney. She was preceded in death by her parents and daughter Angela Michelle Schmitt and a stepson Gregory Schmitt. Services to honor Teresa will be Monday, April 1, 2019 at 3:00PM in the Chapel of Rose Hill Burial Park with Pastor Mark Brooks officiating. Family and friends may beginning calling at 2:30PM. Expressions of sympathy may be made at www.richardsraffanddunbar.com.